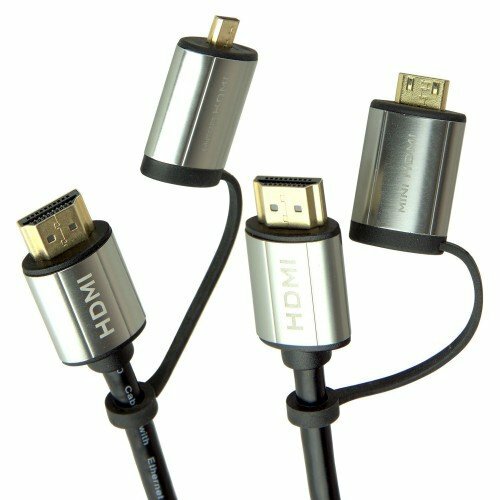 Micro, Mini and Standard HDMI all in one cable. The most versatile HDMI cable ever created. The 3 in 1 cable is enabled with the latest HDMI high performance digital audio and video features is crucial for supporting the full 18Gbps bandwidth. An EMI test also ensures cables minimise interference with wireless signals. 3 key feature benefits 1) Tethered plug adapters 2) Suit all configurations on Micro, Mini and normal HDMI connections 3) One cable, multiple options.